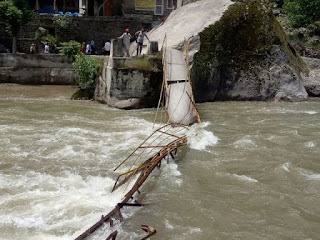 At least five students have died and twelve others are missing after a bridge collapsed at a tourist site in Pakistani Kashmir, officials have said, adding there was little hope of finding survivors. 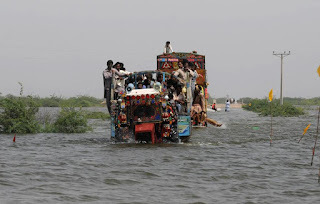 At least 105 people were killed and 140 others injured in separate accidents triggered out by the current spell of monsoon rains across Pakistan over the last one month, officials said Wednesday. 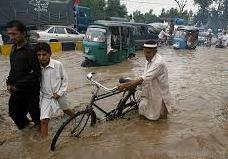 At least 17 people have died and scores of others injured in monsoon rain related incidents across Pakistan as the country issues flash flood warning. 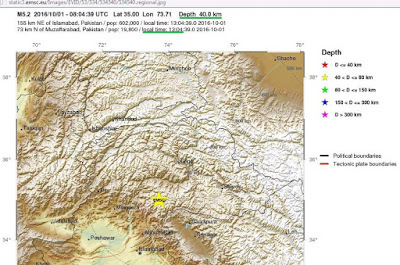 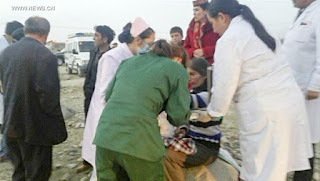 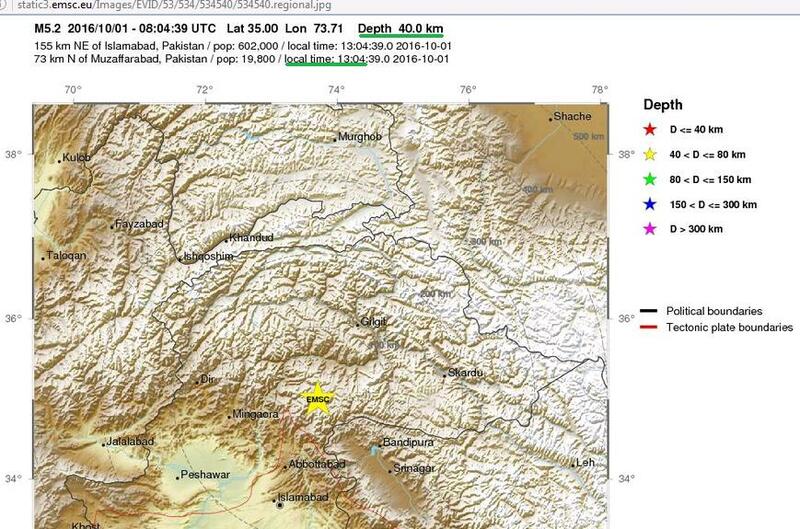 At least one person was killed and around 30 others injured when an earthquake measuring 5.5 on the Richter scale struck northwest Pakistan -- including the capital, Islamabad -- on Saturday. 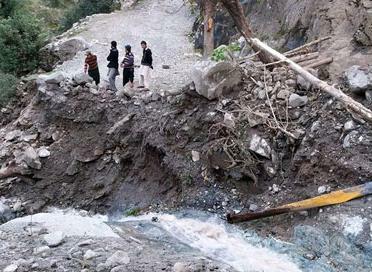 At least 30 people including women and children were killed, 35 injured and scores others went missing in flash flooding in Pakistan's northwest Chitral district, local media and officials said Sunday morning. 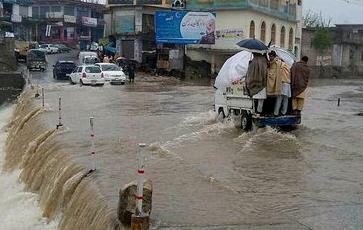 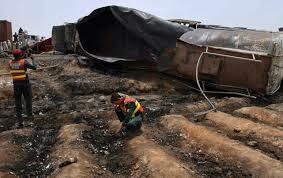 A total of 63 people have been killed and hundreds of acres of farmlands have been destroyed by flash floods triggered by torrential rains in northwest Pakistan and Afghanistan, the countries' officials said Sunday. A Pakistani national disaster management official says flash floods triggered by torrential rains have killed at least 36 people in the country’s north-west. 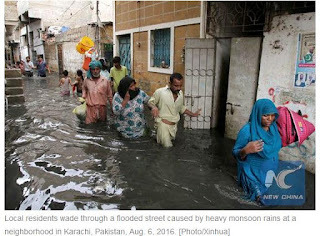 At least 49 people were killed and 80 others injured in separate accidents caused by the current spell of torrential rains in Pakistan over the last four days, the authorities said Monday, according to Xinhua Agency. 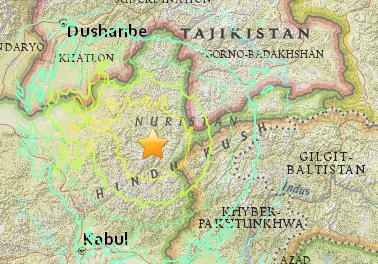 A 6.2-magnitude earthquake struck northeast Afghanistan around midnight near the country's borders with Pakistan and Tajikistan, according to the US Geological Survey. 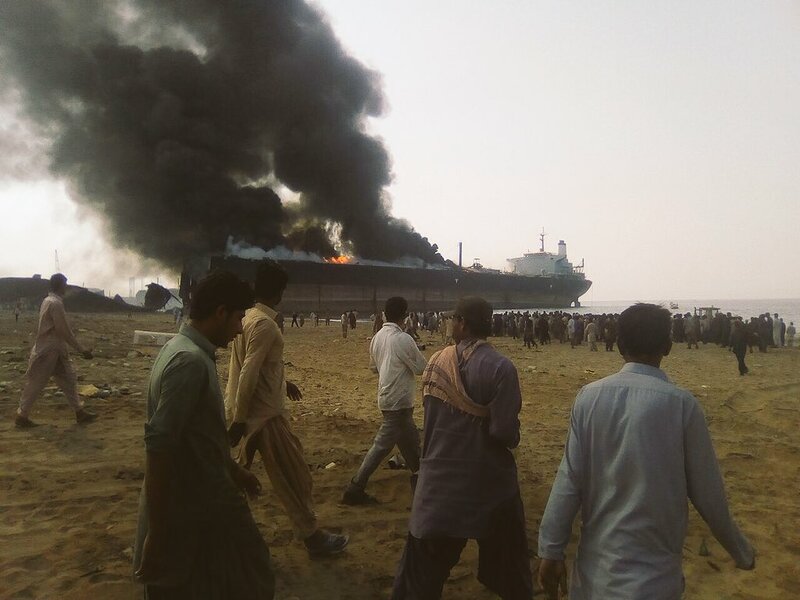 At least 10 people were killed and 74 others injured on Wednesday evening after a four-storey building of a factory collapsed in Pakistan's eastern city of Lahore, local media and officials said. 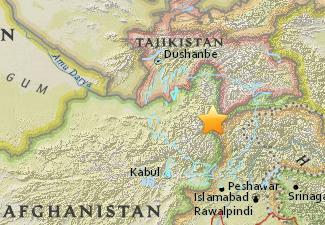 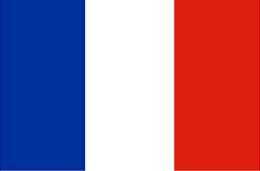 A powerful 7.5 magnitude earthquake killed almost 150 people in Pakistan and neighboring Afghanistan Monday, officials said.